I decided to try something completely new for my Element Projects this year: Element Speed Dating. Over the summer, I stumbled on some images of elements by the graphic designer, Kaycie D., and I was blown away. Neon, created by Kaycie D. in 2011. I thought it would awesome to assign my students to create their own version of Kaycie D.’s work. 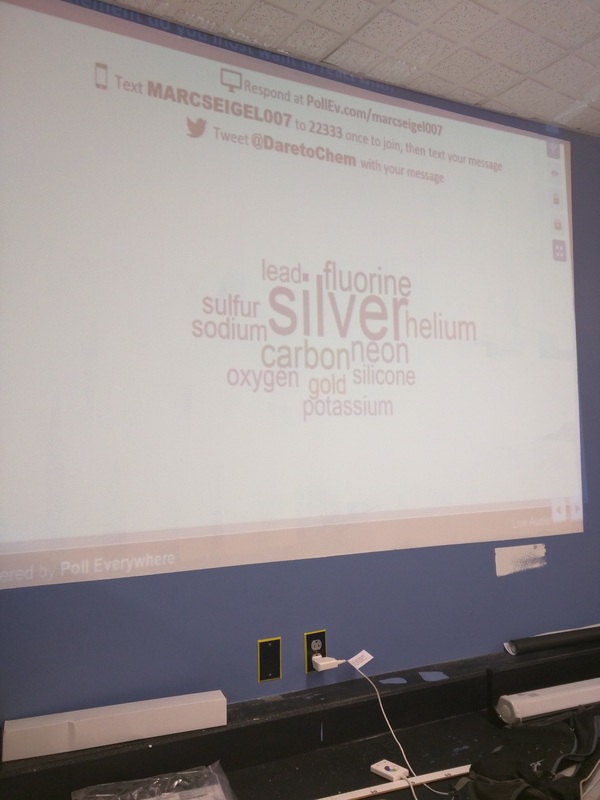 So, we randomly assigned elements to the students, explained what we wanted from their artistically, and told them “Become an expert on your element.” We never told them they would have to present about their element, but we did say that expect to be asked questions about the most interesting uses/properties. You have 5 minutes to develop a 1 minute proposal as to why your element is the most interesting/coolest/awesome element. At the chime, you have 1 minute to convince the person across from you. At the 2nd chime, you are to switch roles so the other person presents for 1 minute. At the 3rd chime, the people on the outside desks are to get up and move one desk clockwise. As soon as I released them, the students jumped straight into it. They developed poems, raps, and regular talks. Some took on the persona of their element, speaking in the first person, others just rattled off data. Overall, there is no question these students were experts on their element because they gave their talk 10 times! Was it perfect? No way. I didn’t get the level of creativity I wanted from the students in their proposals. That might be because I didn’t tell them of the activity in advance or it might be because I didn’t encourage them to be creative enough. Whatever the reason, next year I am telling them in advance what they are doing so they can prepare better and I am going to tell them what I is unacceptable (listing off the molar mass and atomic number are not interesting!!). Maybe I will get kids in costumes, maybe I will get songs written, or maybe I will still get boring presentations. Right now I can’t post more pictures until I clear the last of the media release forms. I will update once I can post more pics online. 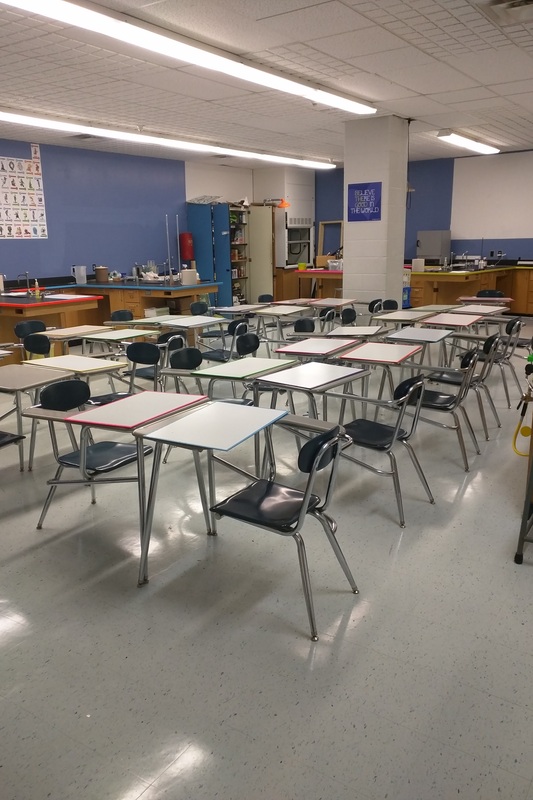 This entry was posted in Uncategorized and tagged #chemchat, #chemisawesome, elements, Periodic Table on September 20, 2015 by DaretoChem.